No, R|CAT is not yet certified. Yes, R|CAT was previously certified under several criteria. Yes, R|CAT is applying for certification to organizations, where R|CAT fulfills the certification criteria. UPDATE: Posts related to R|CAT’s certification endeavors are tagged certification for ease of reference. In short, government agencies, regulated businesses, and other organizations have procurement goals for procuring products and services from certified business entities. What does certified mean? A business may become certified by qualifying and fulfilling certification criteria, depending on the certifying organization requirements. 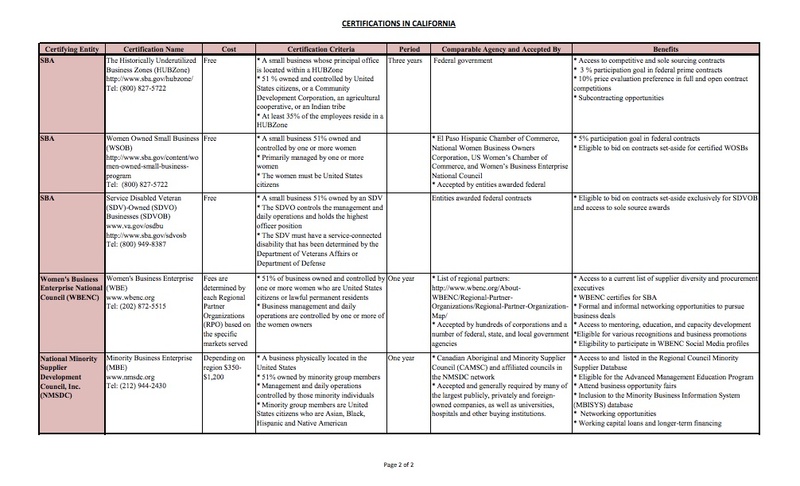 Some organizations have a fee for certification, while many do not have fees. All organizations have application forms. Our program monitors supplier diversity in procurements by participating utilities and oversees a clearinghouse of women; minority; lesbian, gay, bisexual and transgender (LGBT); and disabled veteran-owned business enterprises. 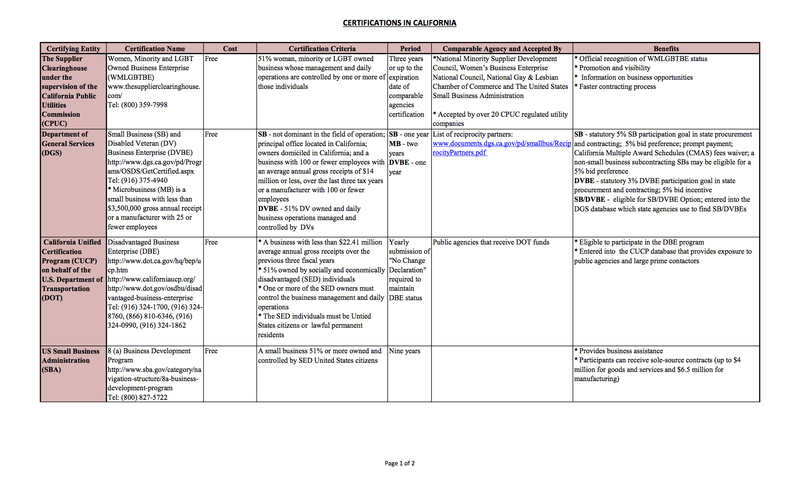 For reference,the CPUC compiled a table (.pdf) of available certifications. R|CAT does not fulfill the following criteria: LGBT Owned Business (CPUC), Disabled Veteran Business (DGS), The Historically Underutilized Business Zones (HUBZone) (SBA), and Service Disabled Veteran Owned (SBA). Following this post is a series of blog posts about certifying entities and their certification criteria. What certification(s) does your business maintain? What tips do you have for completing the certification process?